Fortnite Season 7 has arrived, bringing a whole bunch of new content to the table. 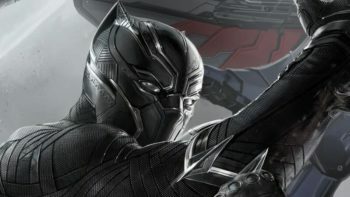 Of course, alongside the new battle pass, cosmetic items, and the inclusion of ziplines on the map, there are also a number of new named locations for players to check out. Frosty Flights is one of these, and can be found in the new Iceberg biome. Here are all Frosty Flights chest spawn locations in Fortnite Season 7. 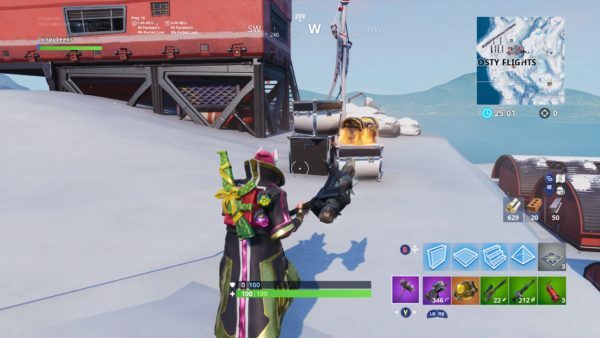 Frosty Flights and the Iceberg biome can be found in the southwest section of Fortnite’s map. 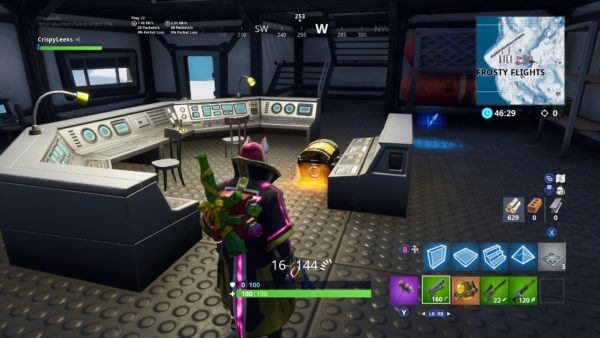 It’s quite the festive place to find yourself in Fortnite, and even has some of the X4-Stormwing planes for players to nab and take to the skies. Chests, of course, are the way you’re going to get yourself loot fast in Fortnite, so we’ve listed each of the chest spawn locations in Frosty Flights we’ve come across down below, complete with screenshots. 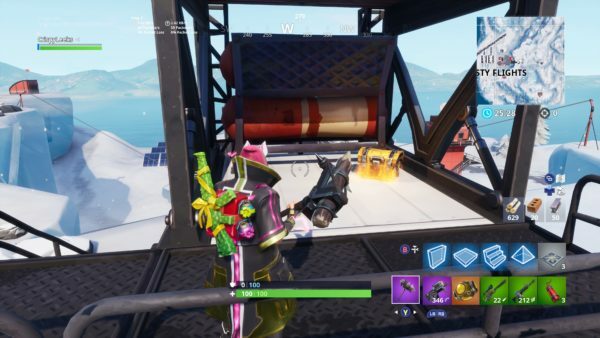 Right by the runway in Frosty Flights, you can find a chest spawn at the top of the air traffic control tower. It’s not inside, but round the back of the cabin in the top. Another on the bottom floor in the back right corner of the eastern-most hangar of the two. 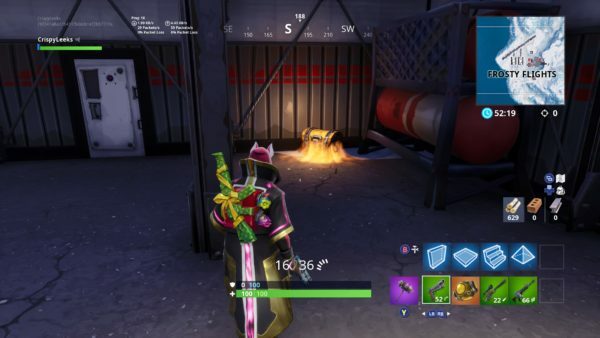 Head upstairs in the very same hangar to find another chest spawn location in the opposite back corner. 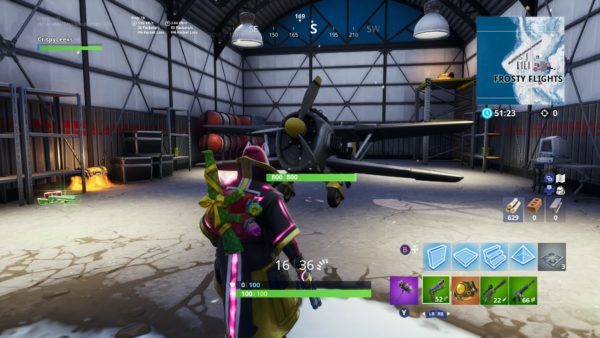 Another two chest spawn locations can be found if you head into the next hangar on the far west side of Frosty Flights in Fortnite. One is on the floor to the left as you go in, and another is in the back right of the room on top of some racking. 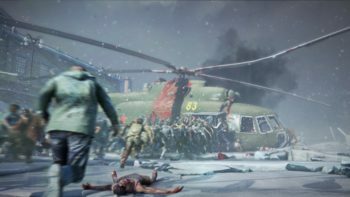 Head south from the tower by the runway and into the doorway to the large central buildings of Frosty Flights. 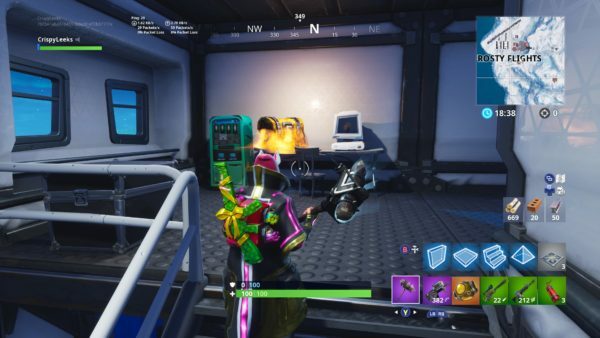 In the control panels right in front of you, there’s another chest spawn location. 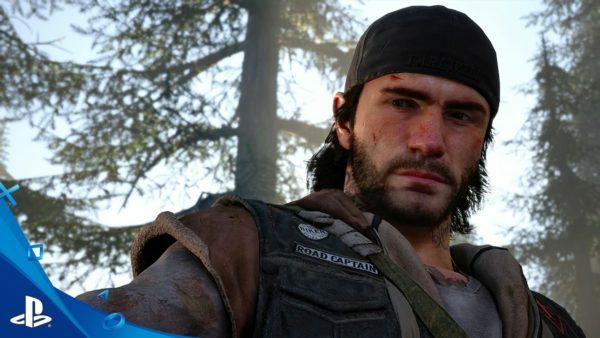 Double back on yourself from the last location and head through the blue tunnel behind you. There’s another Frosty Flights chest location here behind the blue curtain. Head up the stairs on your right to the very top floor. Turn right at the top of the stairs and head through that door for another Frosty Flights chest spawn. 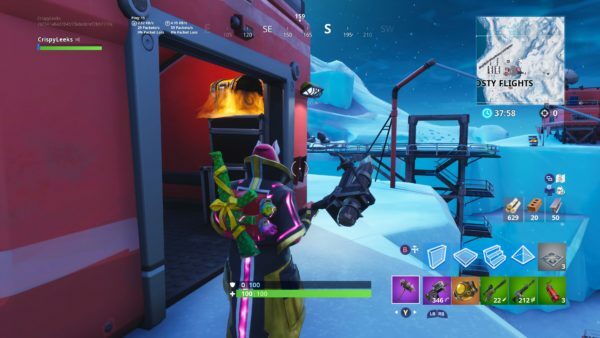 From the last spawn location we found in Fortnite’s Frosty Flights, head out and look for the door in the opposite corner to your right a bit. 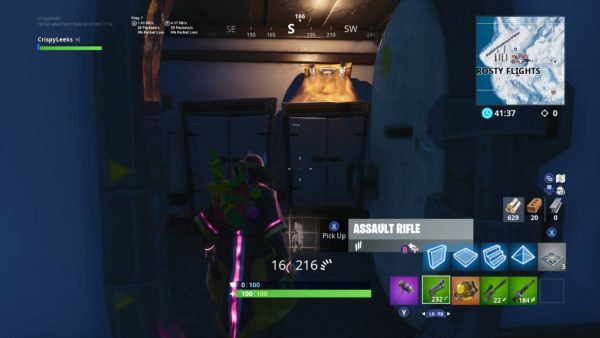 There’s another chest spawn here. Head to the downstairs section of this large building again and east through the connecting section. 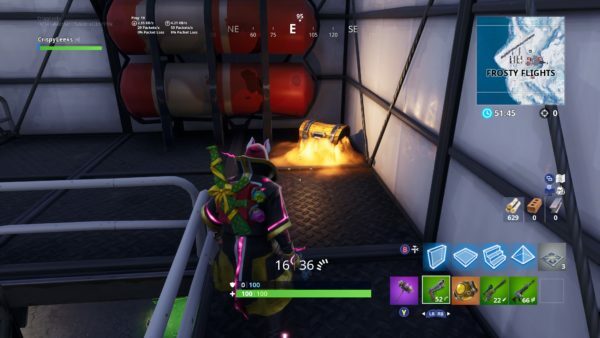 On your right is another chest spawn location by these shiny gas containers. To the left of the stairs, you’ll find another room with posters on the wall and an art desk. 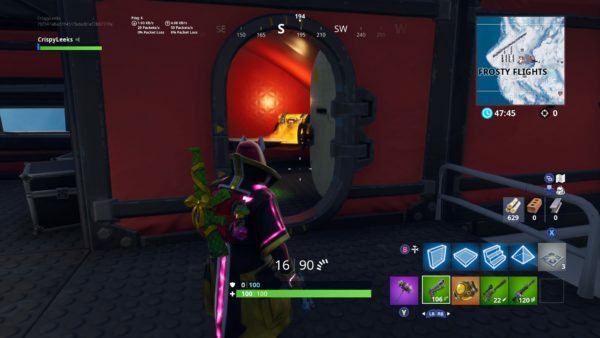 There’s another chest around the corner. Make your way down the stairs at the end of the corridor here. 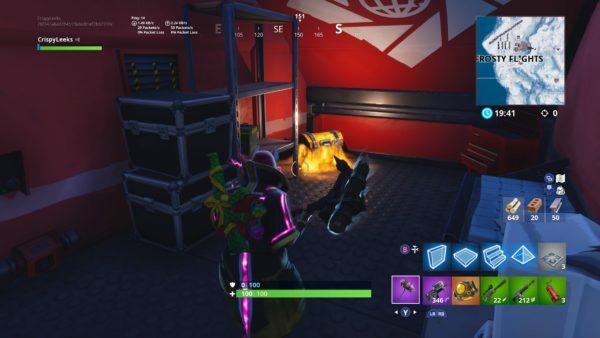 In the room straight ahead and to your right, you’ll find another chest spawn next to two Quadcrushers. Straight out of the room you were last in with the Quadcrushers, you’ll find another room directly across. Head through the blue door within this room to find a chest sat atop a cabinet. From the stairs you just came down, turn right and right again to double back on yourself. Head into the room on your left to find another chest hiding on the right side of the blue separating curtain. 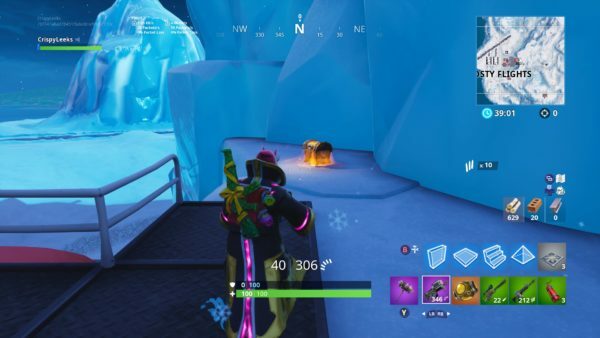 On the far east side of Frosty Flights, you’ll find another chest spawn location on the side of the mountain. You can climb the staircase nearby to reach it. 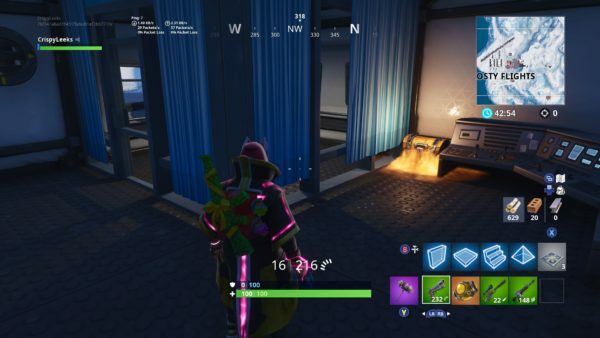 Northeast corner of Frosty Flights has a small red storage container to your left if you climb all the way to the top of the staircase. 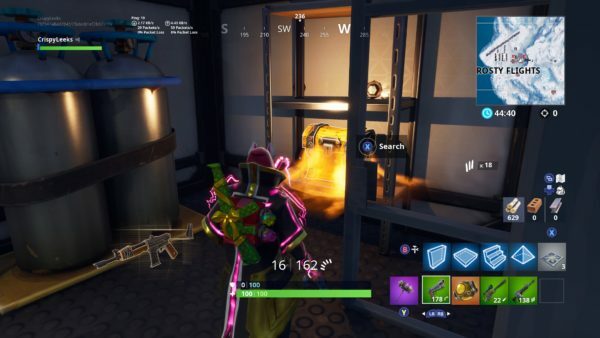 Break down the metal door to find another chest in the corner closest to your right. Right in front of the top of the staircase is a small red building. Climb the stairs onto the roof to find another chest spawn location hiding away. 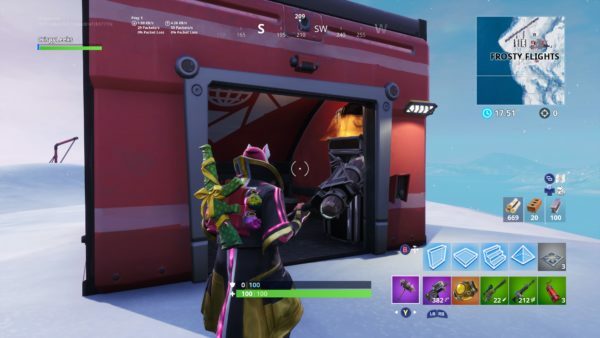 On this upper level of Frosty Flights in Fortnite, in the south of the locale you’ll find a final red building. 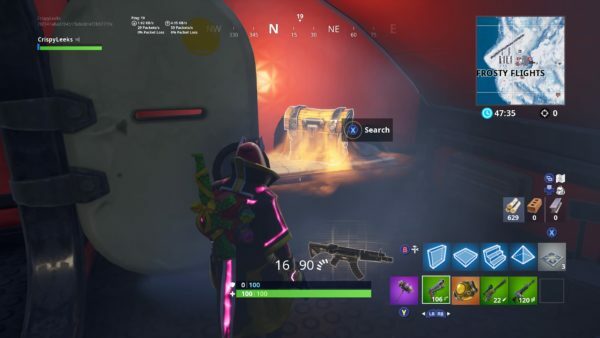 Just outside by a stack of boxes, you can find another of the chest spawn locations. Climb up the stairs on the front of the red building from the last location, turn right and right again, and then back into the far room through the blue door. 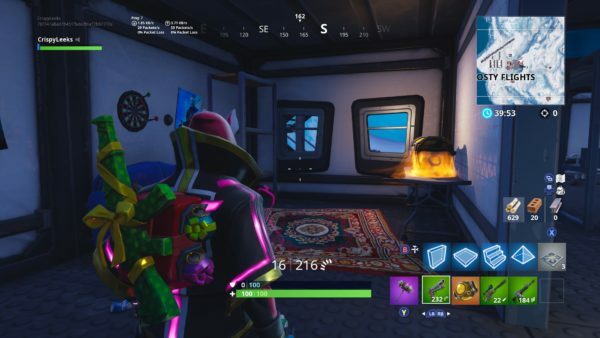 There’s another chest spawn location in the corner of the room. 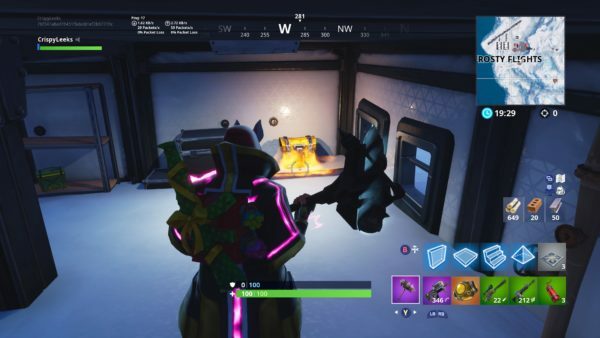 Make your way down the stairs in here to find another chest spawn location in a bit of a snow-filled room. 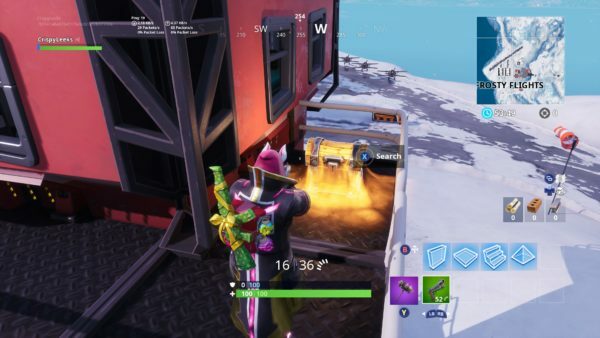 And if you head up the stairs to the top floor of this building, there’s another chest spawn location of Frosty Flights sat there waiting for you. 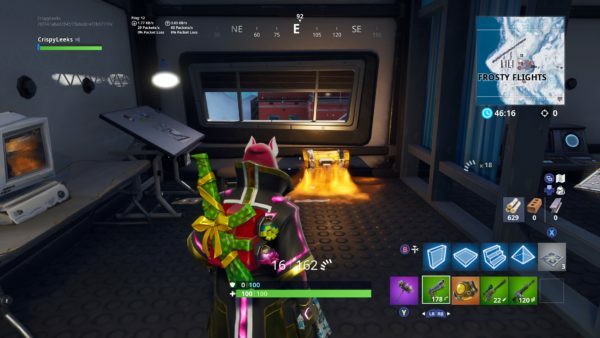 The final Frosty Flights chest you can grab in Fortnite Season 7 is in the very southwest corner, on this upper level. It’s another of those small red storage buildings, and the chest can be found up in the right corner closest to you. And there you have all Frosty Flights chest spawn locations in Fortnite Season 7. For more tips, tricks, and handy guides like this for the current season of Epic Games’ battle royale title, be sure to check out our Fortnite Season 7 guide wiki. 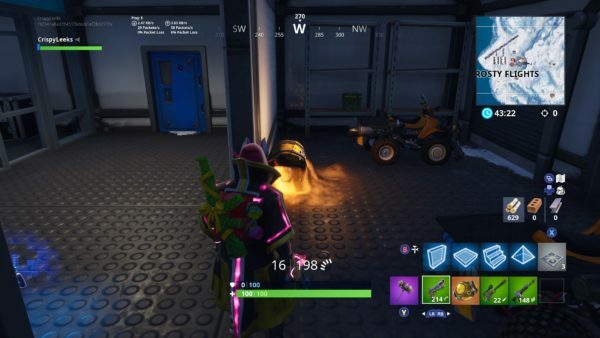 Our wiki has everything from the locations of the crown of RVs, metal turtle, and submarine, those Forbidden Dance locations for Season 7, and even a breakdown of all Season 7 challenges you can complete so far.